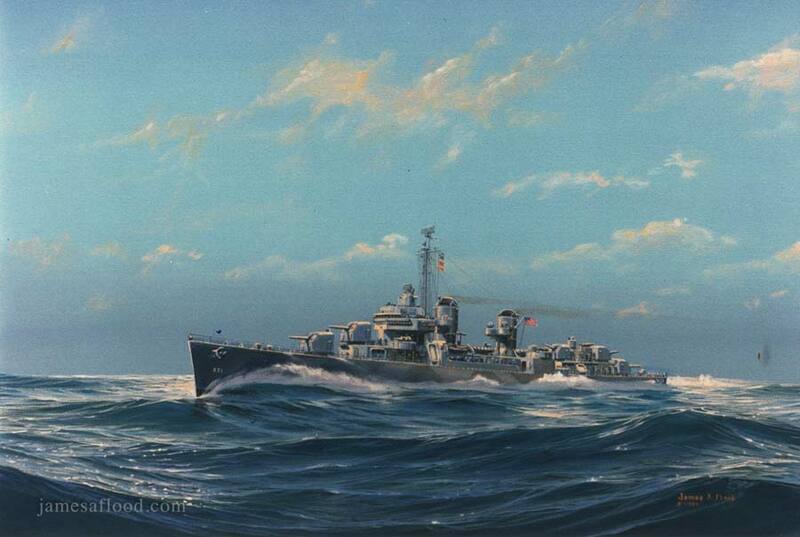 USS Hazelwood, DD-531, was a World War II Fletcher-class destroyer. Commissioned first in 1943, she served in WWII, the Korean War, and the Suez Crisis. She was sold for scrap in 1976. This painting was commissioned by WWII crew member George Barkett.